The woman allegedly at the wheel of a pickup truck that struck and killed three young Indiana siblings told investigators she saw flashing emergency lights on the rural highway but didn’t realize it was a school bus picking up the children until it was too late, according to authorities. 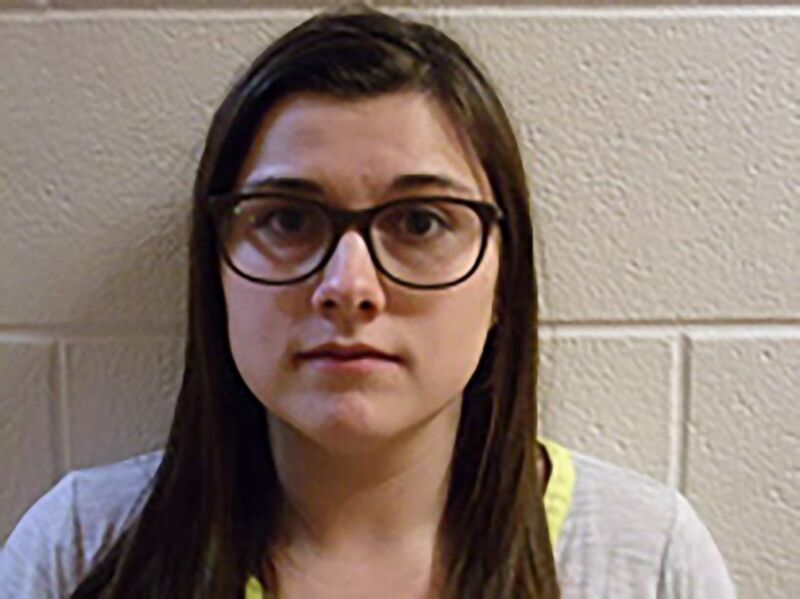 The alleged driver, Alyssa Shepherd, 24, told an Indiana State Police detective that by the time she realized a bus was stopped on the two-lane highway, the children were already in front of her vehicle, according to an audio recording obtained by ABC News Wednesday of what the detective said at Shepherd’s probable cause hearing. State Police Detective Michelle Jumper said at the hearing that Shepherd told her she typically did not drive on the route where the crash occurred and that she had three children in the back seat of her truck when she allegedly struck and killed identical 6-year-old twins Xzavier and Mason Ingle and their 9-year-old sister Alivia Stahl on Tuesday morning in the rural community of Rochester. Twin six-year-old brothers Mason and Xzavier Ingle are pictured with their nine-year-old sister Alivia Stahl in an undated family photo. The three were struck and killed by a car near Rochester, Ind., on Oct. 30, 2018. The children’s classmate and neighbor, 11-year-old Maverik Lowe, was also hit by the truck and suffered multiple broken bones. He remains hospitalized in critical condition. Following Tuesday’s hearing, an arrest warrant was issued for Shepherd, who was charged with three counts of reckless homicide and one misdemeanor count of disregarding a stop sign and causing injury. 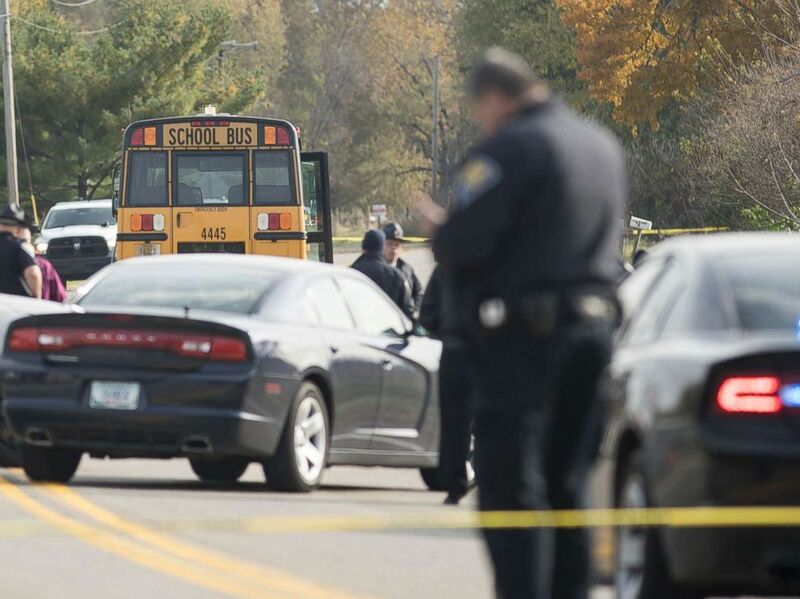 Federal investigators joined the probe Wednesday into why Shepherd did not stop for the school bus, which police said had its flashing emergency lights on and its stop-sign arm out. “You’re supposed to get on your bus and be safe. What are you doing where you’re not paying attention at that time in the morning?” Elgin Ingle, the uncle of the children who died, told ABC News in an emotional interview, referring to the driver. The children were crossing State Route 25 to get to their yellow school bus when they were run over about 7:15 a.m. in front of the Meiser mobile home park where they lived. The investigation of the crash is ongoing. The National Transportation Safety Board sent a team to Indiana to help investigate the crash, the agency said. 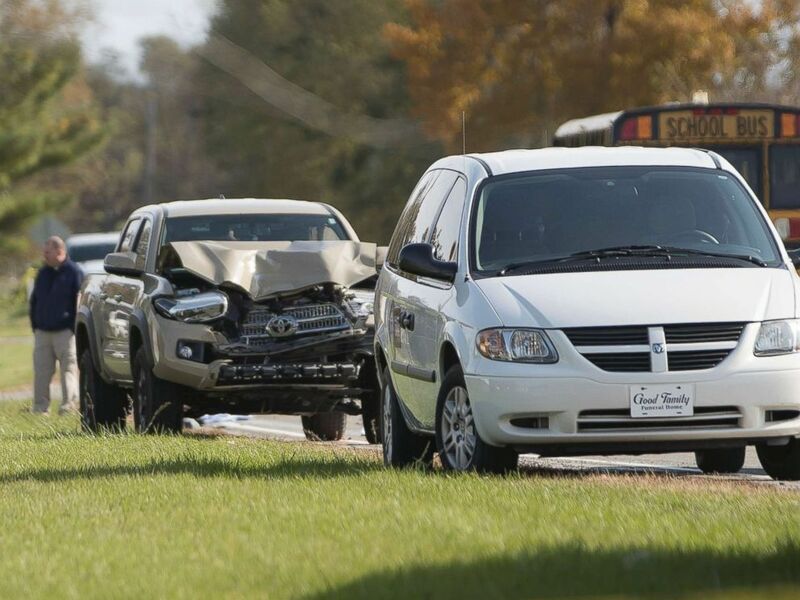 Emergency personnel responded to a scene of a collision that killed three children crossing SR 25 as they were boarding their school bus north of Rochester, Ind., Oct. 30, 2018. Xzavier, Mason and Alivia died at the scene. Their father rushed out of their home and identified them after police arrived to investigate, officials said. “My nephews, my niece were all bright. They were great children. They had a future,” Ingle told ABC News. Alyssa L. Shepherd, 24, from rural Rochester, Ind., is pictured in a booking photo from Oct. 30, 2018. Ingle said parents who live in the mobile home park had previously asked the Tippecanoe Valley School Corporation to change the bus route so the children didn’t have to cross State Route 25 to catch the bus. He said parents complained that it was dangerous for children to cross a highway where vehicles routinely travel at 50 to 60 mph. On Wednesday afternoon, Blaine Conley, superintendent of the Tippecanoe Valley School Corporation, released a statement that starting on Thursday, the bus stop will be relocated from State Road 25 into the mobile home park where the children lived. “This has been a very difficult day for our school family as we attempt to cope with the devastating loss of three elementary students and a critically injured middle school student. I am very appreciative of our teachers, administrators and staff that assisted, comforted, and supported our students and each other today in our schools. We also had counselors and clergy available for anyone who desired additional support and we will continue to provide counselors as needed,” the statement read. Shepherd stayed at the scene of the crash and was cooperating with investigators, Sgt. Tony Slocum, the public information officer for the Indiana State Police, told ABC News. Shepherd was released on $15,000 bail Tuesday night. “It shouldn’t have happened but our job is to fight through it and wrap our arms around [the father], as his community will,” Slocum said. 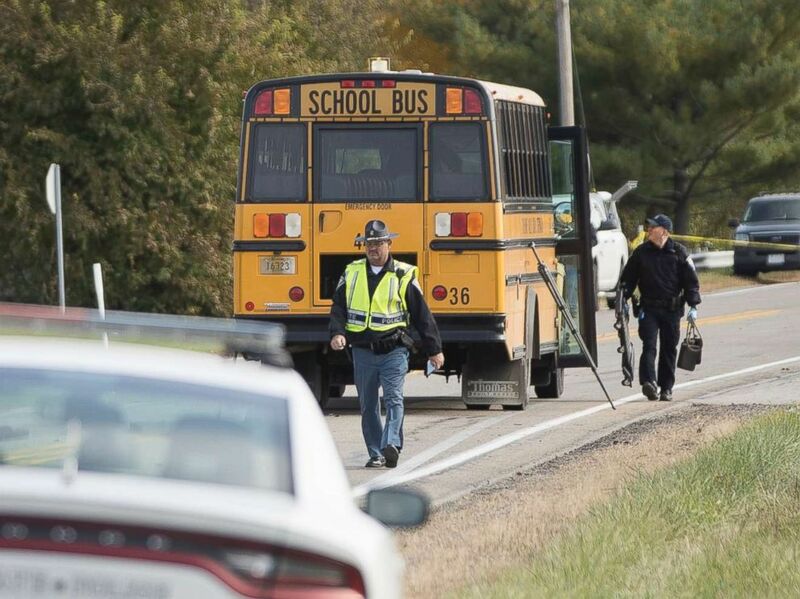 Emergency personnel respond to a scene of a collision that killed three children crossing the road as they were boarding their school bus north of Rochester, Ind., Oct. 30, 2018. Shepherd was not injured in the crash that left heavy front-end damage to her 2017 Toyota Tacoma pickup. Previous article‘Start Here’: Khashoggi pens final op-ed, federal deficit balloons and analyzing FiveThirtyEight’s gubernatorial forecast. What you need to know to start your day. Next articleUS mid-terms: What are the claims of voter suppression?